The innovators (The J3 Group and Prophecy Events) behind the uber-popular Fridays at Noir Lounge in Atlanta are moving the event to a TBA location. We just exchanged messages from Justin Tanner of The J3 Group confirming this. 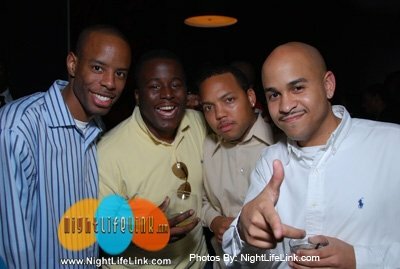 Dubbed in many circles as “The Young Professional’s Playground,” this event helped transform Atlanta Nightlife scene and offers a great “free” alternative with a wonderful atmosphere, live music, and a nice space to party, with an amazing crowd. Many Atlanta-area noteables including Ryan Stewart (of the “2Live Stews” and 790thezone), Bad Boy Entertainment Recording Artist Janelle Monae, and Grammy Award-Winning Def-Jam Artist Ne-Yo, have all stopped by to experience the festivities on “4Play Fridays” @ NOIR. Many of Atlanta’s top promoters, entertainment companies, and personalities who stopped by to show some love include: “Atlanta’s Own” Jimmy Jones, Dynasty Entertainment (JR, Ilon, Dace, Fred, Von, and the whole crew), Sean Black (of BlackBigs Entertainment), Flo Barnes of Flo On Entertainment, ATLBarz, Big C.A.C. of The F.C.C., Trends Concepts, Fly Society (Donte, Julie, Jay, and Co), Furious Entertainment (Jarmon, Donte, Jared, and crew), Colby of Plush Blue Entertainment, JaDawnya Butler, Esq. and L. Chris Stewart Esq. of E.S.Q. Events, KD and Tracy of KDiesel Entertainment, Kenneth Roberts of Whip Appeal, Rufin of The Rufin Project, Khalil of Status Inc., Kevin and Randy of Cafe Circa, Kofi, Angelo Byrd, Rufin, Megan Chatman and Jaimme Glenn of Axxes Agency, Aaron Arnold and DJ Shogun of Music Is My Business LLC, Jesse Mills of M-Consulting, Joey Digital of DIGITALGUESTLIST.com, Rising Sun (Gini, Emeka, and the fellas), Vincent and Dallas of Bluprint Entertainment, Models Jynxx of Still Starvin’ Entertainment and Ginger Sherrell, Jody Merriday of The Natives, Theia Washington of Speakchicpr, Yasmine of Phat Black Pussycats, Justin Q. Croxton, Justin W. Terry, and Mark Keli of The Black Aesthetic Group, Ravi Windom of The Wind PR, Amy G., E. Freeman of Certified Crunkness, Russell Hoopson of Jump Boy, Brock Mayers of Fertile Minds, Corporate Thugs Entertainment, Entertainment Attorneys Leron E. Rodgers, Esq. of Hewett & Rogers and J. Martin Lett, Esq. of Register Lett LLP, and Nightlifelink.com. After lengthy 1-year stint of rocking w/ DJ Q-Storm (the “Official DJ of the Atlanta Hawks”) and Hot 107.9’s own DJ J-1 (the Urban Legends), they decided to move on (apparently, due to circumstances beyond their control). Tanner says they’ll have a major announcement in the coming days of a new location. We’ll keep you updated on their progress. In the meantime, you can enjoy their weekly party at Utopia with J Carter, and Marco “Blue” Johnson. Send an email to info@thej3groupinc.com for more information.